We encourage our patients to have routine dental care including exams, cleanings, and x-rays as recommended by our doctors. You shouldn't wait until you have pain or problems to come to the dental office. Prevent the problems before they start with an annual or bi-annual cleaning and exam. What are some preventative treatments we provide? Used to prevent the spread of tooth decay or correct any cosmetic damage, a filling is just one of the ways our dentists preserve our health. Before placement, any decay must be removed. Dental fillings can be made from several different types of materials. The most common materials are amalgam and composite. Composite fillings provide a more aesthetic result and bond to our teeth for a more secure restoration. Composite fillings can also be matched to the color of your existing teeth for the most natural-looking treatment. Questions you may have about which filling material is best for you can be discussed. Much like fillings, inlays and onlays repair minor cavities or fractures in teeth. They provide increased support and protection for moderate sized repairs while preserving as much natural tooth structure. Our inlays and onlays can be done in one visit using our CEREC technology to fabricate beautiful and strong tooth colored restorations. A crown sometimes referred to as a cap, is a custom fitted to your bite and placed over your natural tooth or dental implant. A tooth with inadequate tooth structure, fracture, wear or severe decay or a combination of all. A bridge replaces a missing tooth and is supported by adjacent teeth. At Fairbanks Dental Center we can do same day crowns and bridges using our CEREC technology. CEREC is a camera, computer and precision manufacturing machine all in one. CEREC’s built in camera takes digital images of your tooth before and after preparation. The newly designed restoration is milled in the office out of a block of natural tooth colored porcelain and bonded directly to your tooth. Sleep apnea is a process where you stop breathing during sleep and is often associated with snoring. There are 3 types of sleep apnea: obstructive, central and mixed. Obstructive is the most common and occurs when the airway gets blocked, usually by the soft tissue of the throat and tongue. Central sleep apnea happens when the brain fails to signal the muscles of the diaphragm to breath. Mixed sleep apnea is a combination of the two. You should talk to your physician about sleep apnea and discuss your symptoms. Your physician may then recommend a sleep study, in which a team will monitor your sleep cycles and look for signs of apnea such as the amount of oxygen in your blood and periods where you stop breathing. In some cases we are able to send patients home with our "at home sleep study" machine. Contact our office today for more information. 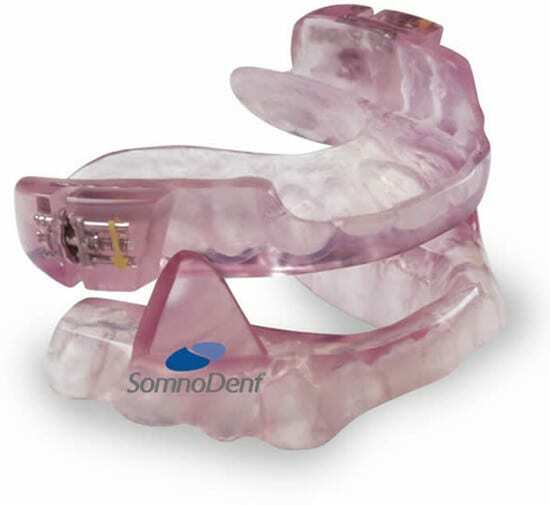 If you think you have sleep apnea or if you are snoring, please talk to your physician to see if an oral appliance is for you. If you decide to have an oral appliance made, contact us for an appointment. Following a consultation with our dentists, impressions will be made to custom fit your appliance for your teeth and specific jaw movements. 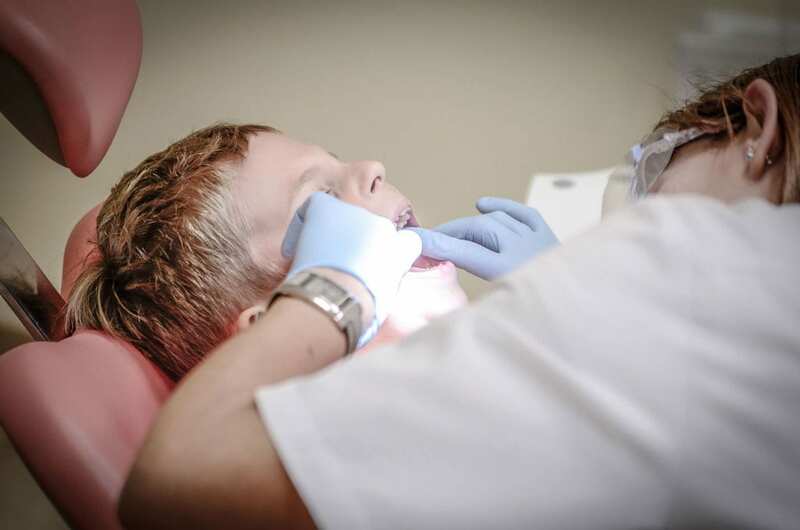 Fairbanks Dental Center can handle all your general, speciality and cosmetic dentistry needs. We want you to feel confident about your smile and will provide you with multiple solutions based on your aesthetic goals. Missing teeth? Dental Implants look and feel just like your natural teeth and are a proven and effective replacement for teeth that have become lost or damaged beyond repair. A dental implant is simply a titanium replacement for a natural tooth that is placed in the jaw and remains permanently fixed. An Implant Crown is then permanently cemented to the dental implant, giving you a strong, natural looking replacement allowing for comfort and returned function with the look of natural teeth. Patients can view their CBCT scan along with their dentist, allowing them to better understand their diagnosis, treatment plan, and expected outcome - all in our office. Patients no longer have to leave the office and visit a radiology center to have a CBCT scan obtained. The technology's 3-D, volumetric imaging system provides a complete view of all oral and maxillofacial structures, giving the most thorough diagnostic information possible. Our dentists can more accurately diagnose and predictably treat patients than with conventional two-dimensional imaging. Every aspect of the facial skeleton can be evaluated with distortion-free images reconstructed from true volumetric data, which is gathered by an advanced digital sensor. Measurements are all one-to-one, with no magnification error which is very important to predictable outcomes of different dental procedures.